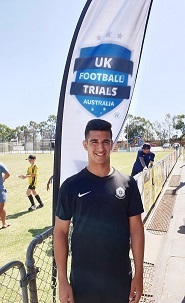 Seventeen-Year-old Arzan Todywalla, the rising Star of Soccer and one of the most promising players of New Zealand created strong impressions among coaches, players and enthusiasts at the Trials held in Australia last fortnight. All of them wanted the young man in the United Kingdom for further training, so that he could be prepared for the biggest matches in the world. 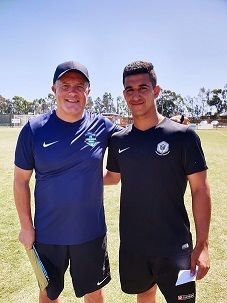 He was in the first batch of three-day trials held at the Sunbury Football Club in Melbourne from January 11 to 13, 2019. More than 150 hopefuls and top officials including UK Pro-Coaches Director Harry Price, UK Football Schools Director Chris Woodburn, Sports Psychologist Jimmy Davis and former English player and currently UK Pro-Club Scout Micky Adams watched Arzan execute some of the finest moves in the game. Arzan was grouped in the Over 17 Players and was pitted against 26-year old ‘veterans.’ But he has proved his mettle in the Men’s team at Fencibles Club AFC in Auckland. 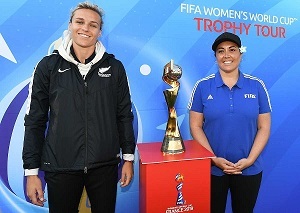 UFA Licensed Coach and Lecturer Ashleigh Hopkins said that Arzan has ‘what it takes to be a good Soccer player. UK Football Trials are reported to helped thousands of players to get scouted over the past six years. Stated to be the world’s largest and most successful football trials companies, it allows the players and parents attend to tell the world what they think of the events. While Arzan’s steady rise as a spirited Soccer player is a direct result of his diligence, devotion, daily practice and most important of all his humility and eagerness to learn, the contributions and sacrifices of his parents Viraf and Pearl Todywalla are significant. They have been the true architects of the young man’s rise. As well as investing time, money and efforts to ensure that their son is well-nourished and healthy, they spend all their spare time and weekends to reach him to playfields and events that further his interest in the game. They also constantly look for opportunities for Arzan to receive further training. It was this watch out of Mr Todywalla on Facebook that encouraged them to take their son to Melbourne for the UK Football Trials Australia event. Getting there was not cheap but it was not the first time for them to pool their savings and ensure that Arzan the best training possible. He has already been to the United Kingdom twice to participate in the Birmingham City FC Trails. Even three years ago, his mentors in Britain wanted Arzan to stay back, continue his studies in the United Kingdom and foster his career in Soccer. 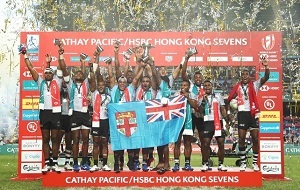 But it was an expensive proposition for a Non-British citizen but Viraf and Pearl are confident that one day their son will make it to the best fields of not only the United Kingdom but also the rest of the world, as New Zealand’s priceless player.